There is SO much to see at the NY International Gift Fair that just mentioning a few items doesn’t seem right, but that’s exactly what I’m going to do. 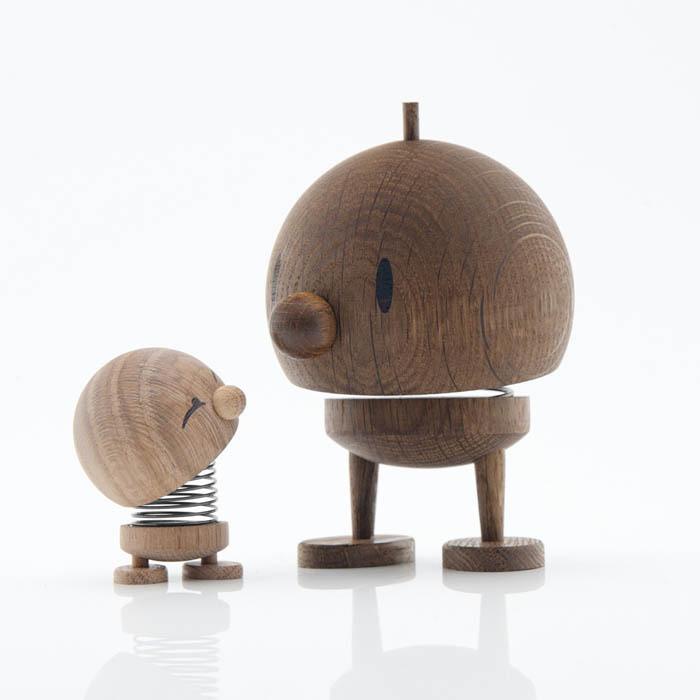 Below are some things that caught my eye in a variety of areas, from toys to home. 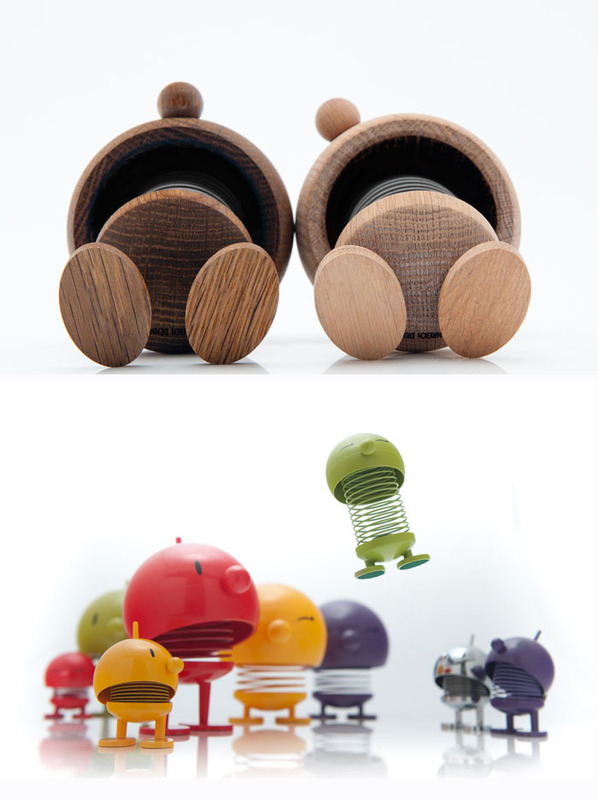 Hoptimists were originally created by furniture designer Hans Gustav Ehrenreich in 1968 and are now designed in new materials and with new expressions, still in Denmark. Super cute and bouncy. Uno Magnetic is an interactive, magnetic jewelry, designed by architect Luis Pons, that can take the form of a necklace, bracelet, or ring, depending on how you choose to wrap the individual colored chains and where you place the magnetic ball that keeps it all together. It comes in cute packaging, too, though I couldn’t find an image. 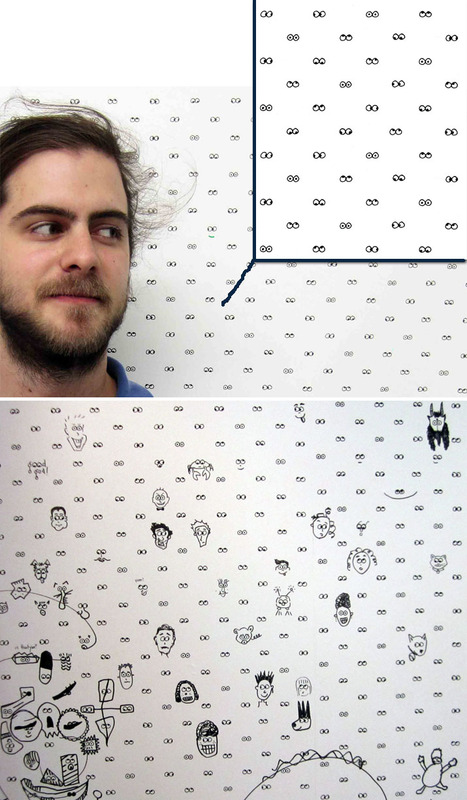 Cavern is a boutique wallpaper design firm with a fun take on wallcoverings. Their hand silkscreened designs take inspirations from natural as well as urban landscapes. The I See You paper, full of googly eyes was set up in their booth with pens for all to draw faces. Especially fun for a kid’s room. Other fun ones include Watertowers and Thesis. 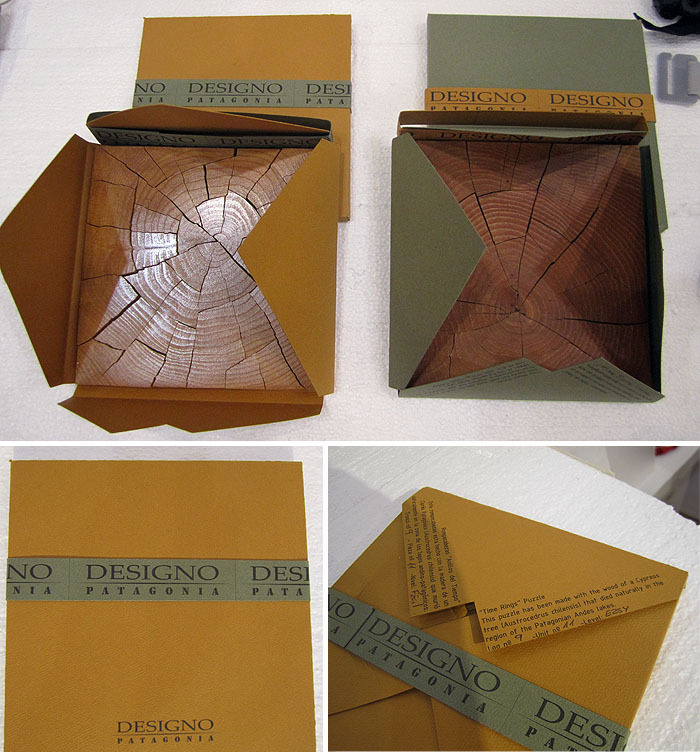 Time Rings Puzzle from Argentina, is made from the wood of cypress trees that died naturally in Patagonia. There are two designs, one super difficult with the wood grain on both sides, and a slightly easier version that’s painted black on the back. Available through Looksur. 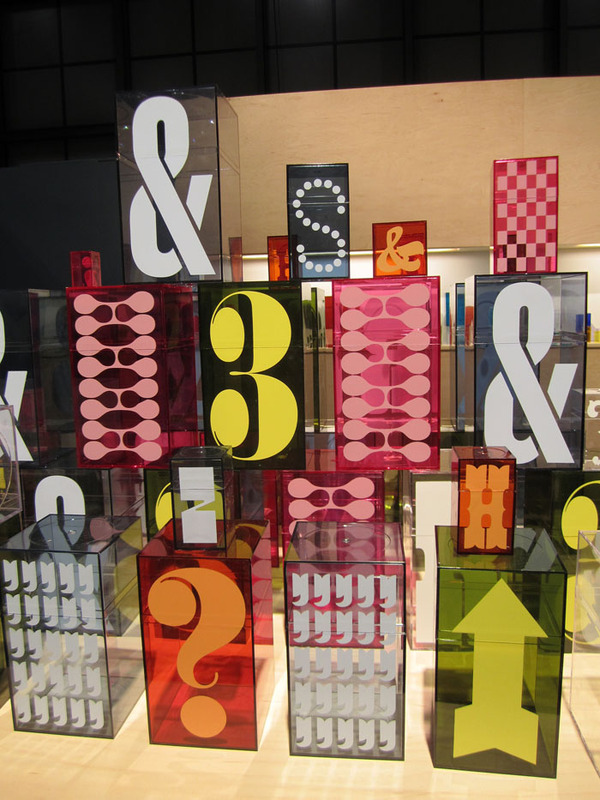 Amac and House Industries have teamed up and put type on these colorful acrylic boxes of varying sizes. Hard to go wrong when numbers and ampersands are involved. And, of course, this list would not be complete if we didn’t include our exciting collaboration with Fred on a variation of our EARonic iPhone 4 cases: All Ears, due out in stores in the next month or two. For those who want more variety, All Ears offers slip in sheets with different his or hers sets of ears. 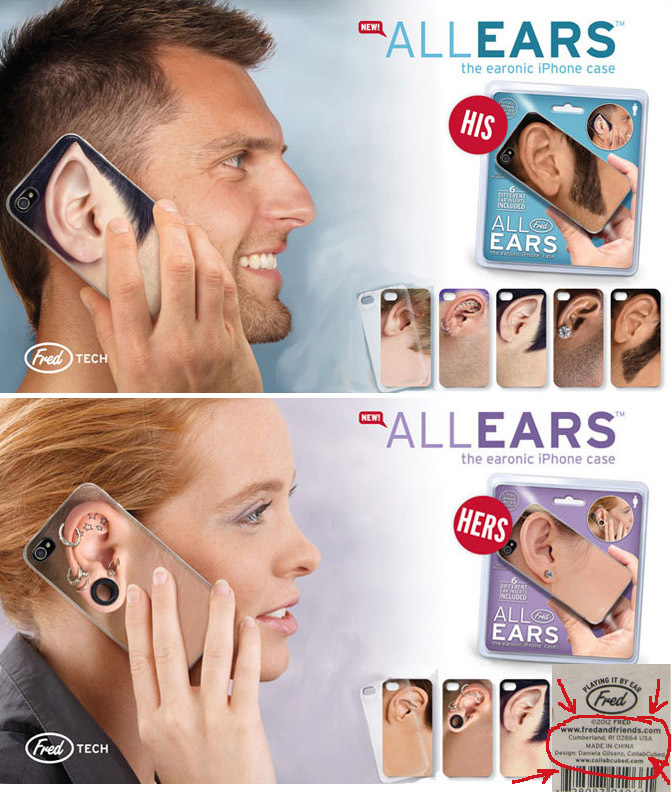 The long-awaited Vulcan ear is now a reality as are other options. But don’t worry, for those who prefer the original EARonics, those are still available at our shop. This entry was posted in Event, Fashion, Fun, Industrial Design, NYC, Pop Culture, Stuff We Like, Typography. Bookmark the permalink.